The last time I’d ridden consistently was when our sons fit into their Burley trailer (affiliate link) about twenty-six years ago. Back then, even with Bill pulling the trailer, it was difficult for me to keep up with him, so I was a bit nervous about holding him back if we were to start riding together again. At the very first bike store we visited on Sunday afternoon, I fell in love with this robin’s egg blue bike. I didn’t want anything fancy, thinking it smartest to start simple and work my way up if I decide to get more seriously into biking. This beauty fit my two requirements – it was a pretty color and it was relatively inexpensive – so I bought it! 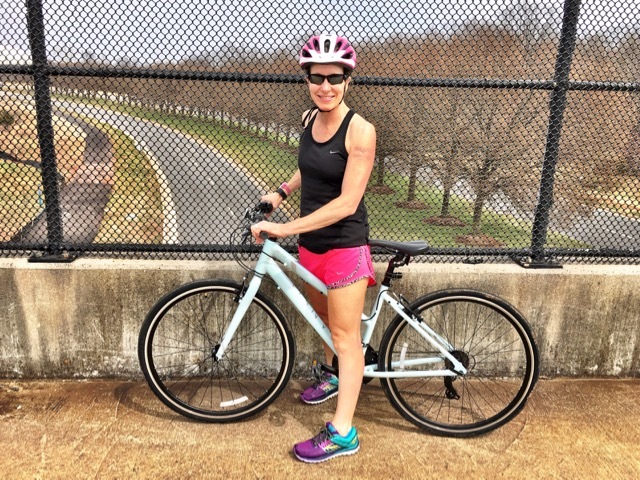 On Thursday, I bought a cute pink helmet and was set to hit the trails on Saturday with my favorite training partner… after I completed my run, of course. As recent runs have been going, this one felt great even though my speed is far from where it was before my injury a month ago. I ran the first three miles with my friend Shawn, followed by three solo miles. After some granola topped yogurt for breakfast, Bill and I set out for our first, of hopefully many bike rides together! I rode around our cul-de-sac a few time to test my brakes, shift through my gears, and get used to being on a bike again. 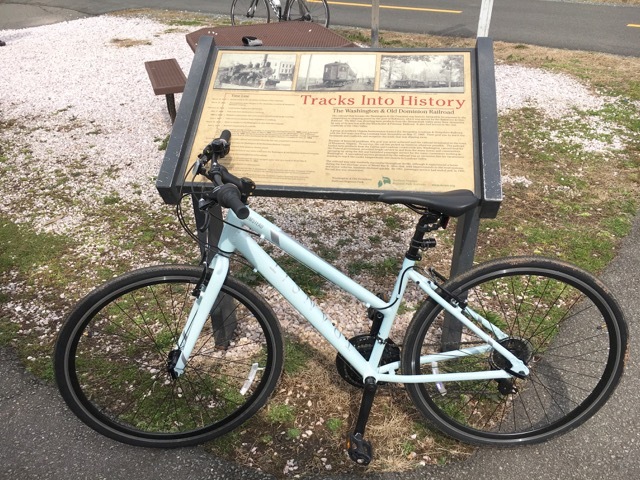 We rode through our community trails before venturing onto the W&OD Trail. While on the trail we spent about half of the time on the asphalt trail and the other half on the gravel horse trail. Cruiser running friends: You won’t be surprised when I mention that even on my bike, I managed to get my shoes and socks full of the little gravels and cinders while on the horse trail. What is it about me and those cinders? We stopped at the turnaround so Bill could take an obligatory first-bike-ride picture before heading home and completing our twelve-mile ride. I worked my quads in ways that I haven’t in a long time and thought I’d be really sore today. Surprisingly, I’m not the least sore and I attribute that to regular strength training. 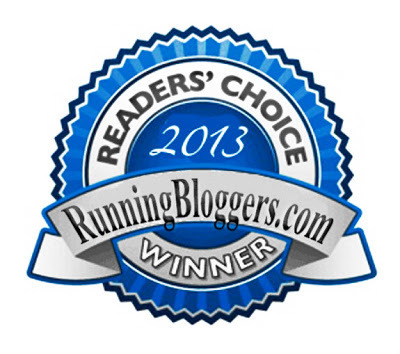 On the blog this week, my Race Linkup will be going live at midnight tonight as it does the last Monday of every month. 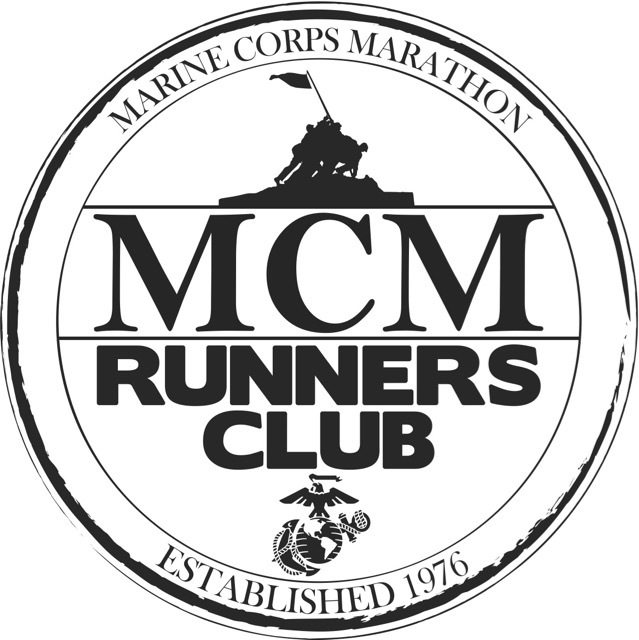 Please join me and let your readers and fellow bloggers know which races you’ll be attending so we can plan meet-ups! Friday I’ll have my latest list of Runfessions and Saturday I’ll be joining in the fun on the Ultimate Coffee Date. 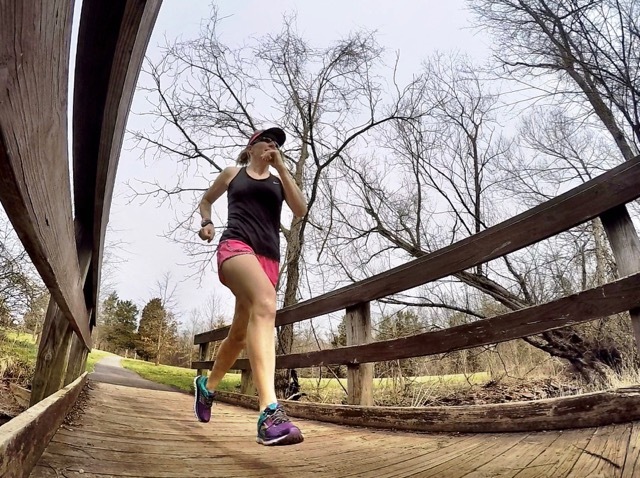 In case you missed it last week, I posted Ask Coach Deb About Gait, Overstretched Hammies, And Taking Selfies and The Older We Get, The Quicker We Lose It. Do you own a bike? If so, do you bike often? Random question – do you enjoy gardening? ~ I love gardening and can spend an entire day working outside! 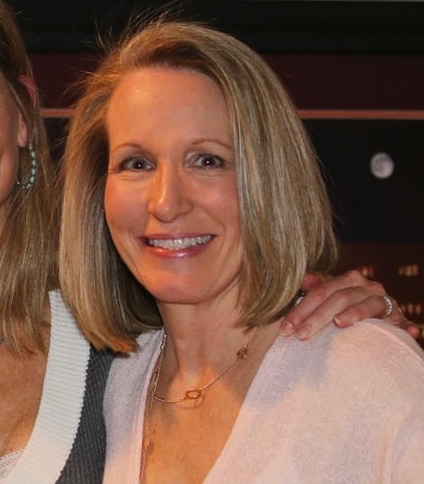 Kimberly Hatting recently posted…Taking Things Easy…. That sounds like a great idea! Let me get a little more mileage under my belt before I challenge myself to that long of a ride. Hubby and I both bought bikes nearly three years ago and rode them for awhile. We even raced a team duathlon! My bike was the same color as yours! I have not rode it much since last year. We need to get back to it! I’m intrigued by a duathlon. It’s the swimming that keeps me from giving a tri a try. Thats so great that you got a bike! I got an indoor spinning bike last fall which has been great for cross training. I would like to get an outdoor bike but there really isn’t anywhere ideal to ride around here. Plus i haven’t ridden one in about 20 years! I really had a lot of fun… I kind of surprised myself! Your bike is such a pretty color! I’m sure you’ll enjoy many miles on her (him). Now you’ve got to pick a name. My muscles rarely get sore after biking, even after long rides. That’s a huge bonus for us! Thanks for linking Deb! What do you think of Robin for her name? I really do like that bike! 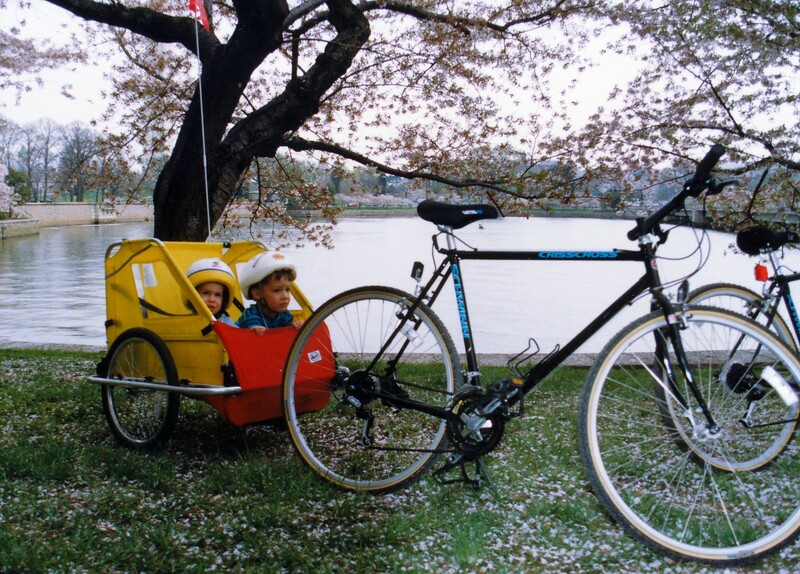 Looking back at your picture of your boys in their bike trailer so long ago is fun! I bet it was a blast from the past for you too! Have you named your bike yet? Your bike is very cute! I hope you enjoy many years of fun with it. Mine is 18 years old and really ugly, ha ha. But I only use it for my short bike commute to work, so I don’t want to pay for another. I do need a new helmet though. The pink is really cute! I love my road bike (as you well know). I predict that soon you will be buying clip in shoes…the ride is so much smoother! Clip-ins kind of scare me! I was resistant when my husb wanted me to start cycling with him but now I LOVE it! It’s hard to fit it all in, but does seem to work different muscles for the most part. The W&OD is my fav place to ride, although it’s all uphill from Leesburg to Purceville we ~~fly~~ on the way back. Great find! I wish I could get into biking, but my hour I teach at the gym on an indoor spin bike is enough for me. Hey, that’s a solid hour of cardio cross-training per week! There’s nothing wrong with that! I love your new bike!!! 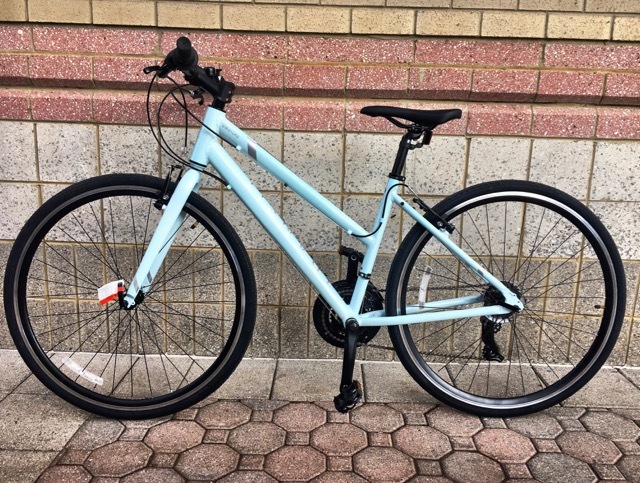 I have been saying for years now that I want to get a more sporty bike – my current bike is a sort of hybrid city + sporty bike but I use it like most people use a car (we have only one car and hubby works farther away so…). I think it’s time for me to get a new one! all the signs are pointing to it 🙂 So to answer your question, yes I have a bike and I bike very often but probably not in the same sense as what you guys do. Coincidentally we biked almost 40KM yesterday – it was a glorious spring day in the Netherlands and we had to take advantage! Gardening – can’t say I’ve done much of it. I’ve lived in an apartment for the last 20 years so balcony gardening is as far as we get here! No races for me this weekend – on the 9th of April is my next race in Rotterdam! It sounds like you deserve a new bike! 🙂 I love taking advantage of those early spring days when the weather is perfect! Saturday was perfect here, but Sunday was cool, cloudy, and damp feeling. Good luck and have fun at your race on the 9th! I do enjoy gardening but don’t always get around to it. I don’t bike. Bikes scare me; always have. How fun to be active together! I did race. 🙂 It went well, despite the heat & humidity! Bill and I miss running together terribly so this will be so good for us! I’ve quickly discovered, though, that it’s a lot harder to chat while riding than it is while running. I grew up on a farm so gardening is in my blood. It’s one of my favorite things to do and I can spend hours outside with the time just slipping away… We have a rather large back yard so there’s always something I can get into. Your bike sounds perfect for relaxing rides along beach paths – my kind of rides. My husband wants to get a bike with those big fat tires so he can on the sand. That sounds like too much work to me! I’ve always thought bike riding was much more fun than running, but of course, I’m a little bit biased! Do you think regular cycling will help with your running training as well or get in the way a little?